The latest United States Preventative Services Task Force guidelines for breast cancer screening advise that women get their first mammogram at age 50 and then once every two years. These recommendations differ from advice from organizations like the American Cancer Society, the American College of Obstetricians and Gynecologists, and many others that all suggest women receive their first mammogram at age 40 and repeat once each year afterward. Black women are 10 percent less likely to develop breast cancer than white women yet 40 percent more likely to die from it. This is partially due to factors such as black women being less likely to have health insurance and also less likely to receive early diagnosis, when there are greater and more effective treatment options. Black women are also more frequently diagnosed at an earlier age than white women, with half being diagnosed before the age of 57 compared to age 62 for white women. Black women are also much more likely to be diagnosed with the more aggressive triple-negative form of breast cancer, which doesn't respond to as many treatments. Early screening, therefore, is crucial. These new screening recommendations, which come from a governmental advising task force, have many health advocates worried that adoption of these guidelines may mean health insurers won't cover the total cost of mammograms for women under 50. 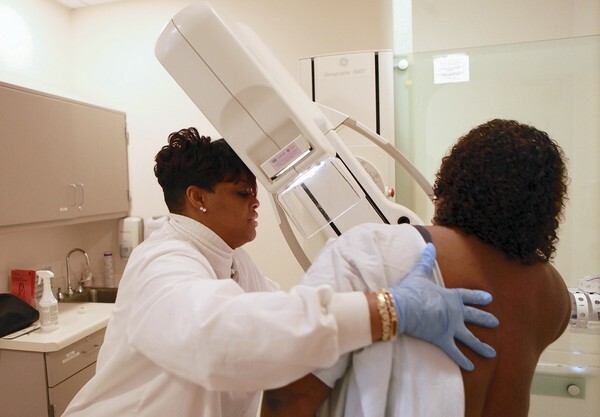 The Black Women's Health Imperative recommends that black women of average risk for breast cancer obtain annual mammograms beginning at age 40, while those with a family history of the cancer should begin even earlier. Naadeyah Haseeb is an editorial assistant at For Harriet.